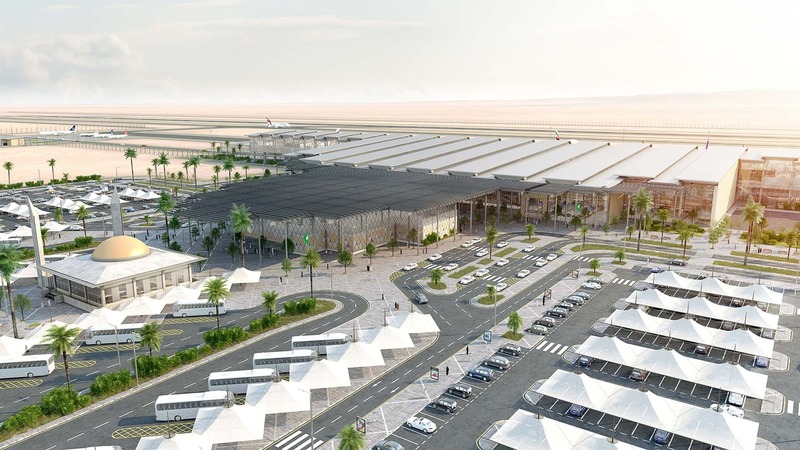 This is a green field airport development for Atiaf consortium comprising the Asyad Group, CCC and Munich Airport who were awarded the concession to build, transfer and operate the new airport. 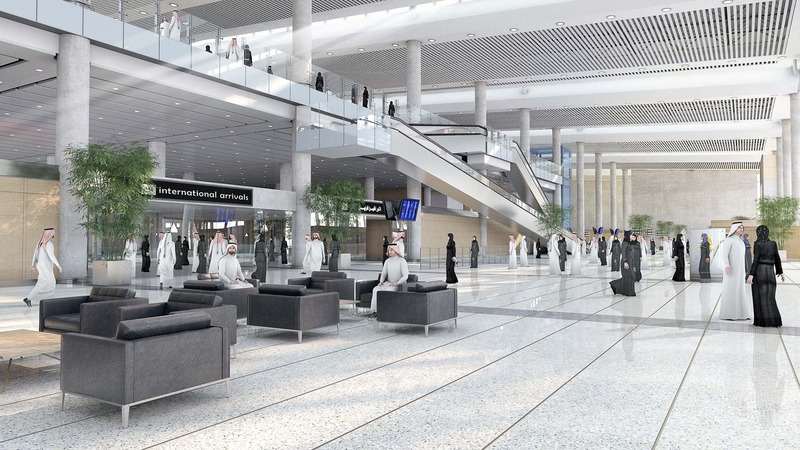 We were commissioned to prepare a masterplan and designs for the new terminal and ancillary buildings. The unique setting of Taif city, its mountainous terrain played a key part in our proposed masterplan and building form. 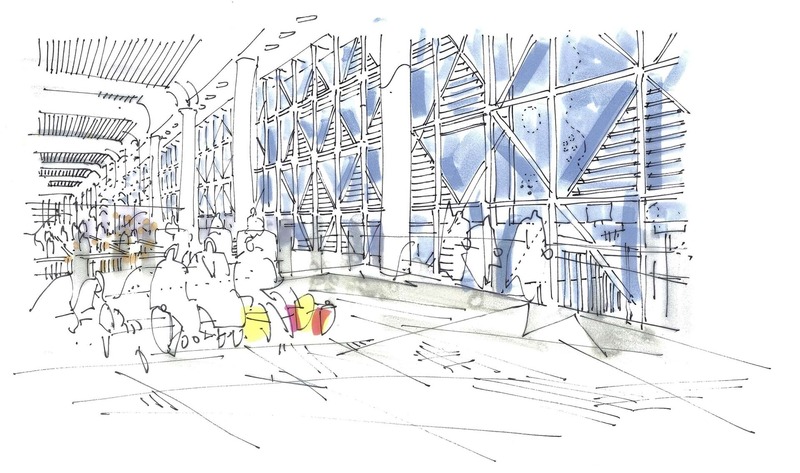 Our architectural expression for the terminal is important for outward and inbound passengers. 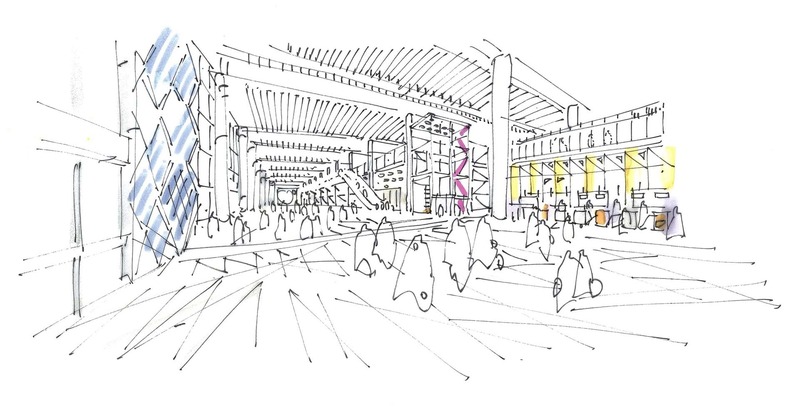 The design both at the macro and micro level will be clear, cohesive and promote a sense of place and destination. 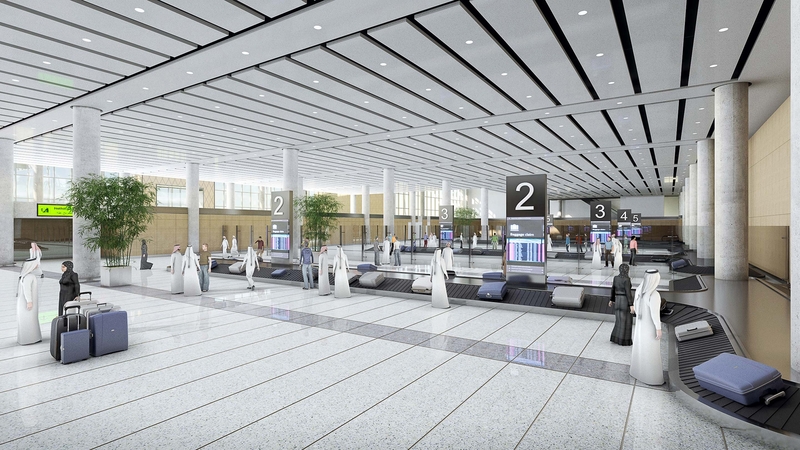 We have emphasised the sloping form of the roof using a series of linear roof lights that map out the passenger journey from land side to airside. 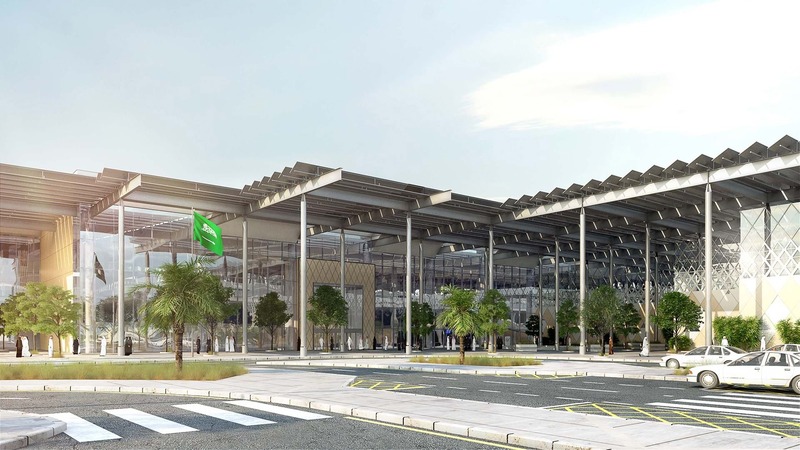 Influenced by the layered terrain and winding roads around Taif city, the plan form of the terminal building and its forecourt make it more inviting and welcoming to users. The sloping roof over the terminal is a natural reflection of the cascading cross section of the building, it strongly references the surrounding mountains and ties the architecture to its setting. We have used the Islamic geometrical pattern to form the frontal facia of the Meshrabiyah which is arranged along the high level section of the Hajj pavilion and conceals the building services plant. These are also arranged along the pier air side façade of the terminal providing solar shading and articulating the façade. We have marked progression through the building by using a smaller scale pattern along the series of portals or gateways. Photovoltaic panels have been incorporated into the roof of the design.